In Honor of Valentine's Day, Thundercat Releases New Song "Friend Zone"
Ahead of the release of his forthcoming album Drunk, Thundercat has dropped another single just in time for all the lonely hearts on Valentine’s Day. 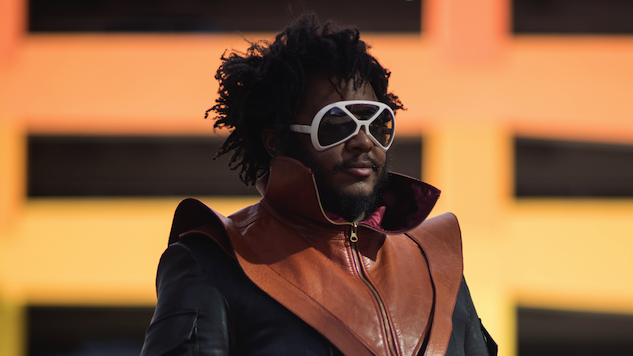 Titled “Friend Zone,” the new song is a humorous reflection on love and relationships in Thundercat’s signature smooth style. With lines like, “Because I’d rather play Mortal Kombat anyway, hey / I want a love like Johnny Cage,” and “I will throw you in the garbage / ‘Cause you play too many games / I’m better off by myself / Loving you’s bad for my health,” Thundercat pokes fun at the stereotypical, complaining “friend-zoned” guy. Though Thundercat says he isn’t always a fan of romance, in an interview with Pitchfork, he gave some solid V-Day advice: “You just gotta pay. Pay for everything. Pay for flowers, chocolates, a bear, dinner, gas … Pay attention. Do something that makes the person feel like you pay attention and understand who they are.” Wise words, Thundercat. Stream “Friend Zone” below or via Spotify here, and catch up on Thundercat’s previously released single “Show You The Way” and find a complete tracklist for his forthcoming and his upcoming tour dates here. Click here to preorder Drunk, out Feb. 24 on Brainfeeder.